Click on the “+ new page” button. Select the “blog” option. 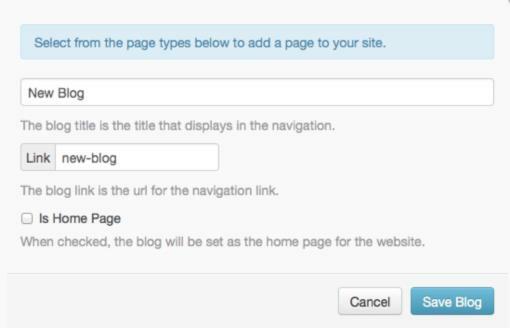 Enter in your blog title information here, then hit the "Save Blog" button to save your settings. Note: If you are going to create a blog through the SquareHook tool, just select the “SquareHook” button, and hit “Save Blog”. Enter in the Title of your post. Begin typing your blog post. You can edit your text box similar to most other blog writing features or Word programs. 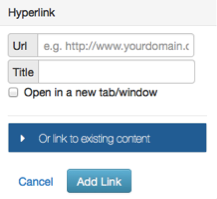 To reference a link somewhere in your article, highlight the words you want to link off to, and select the LINK button. A box will pop up where you can enter in the URL you want to link to. You have the option to have another window open. Once, you have entered in the URL, you can hit the Add Link button. To add an image, select the picture icon, an image library will pop up. You will have several options to add an image. 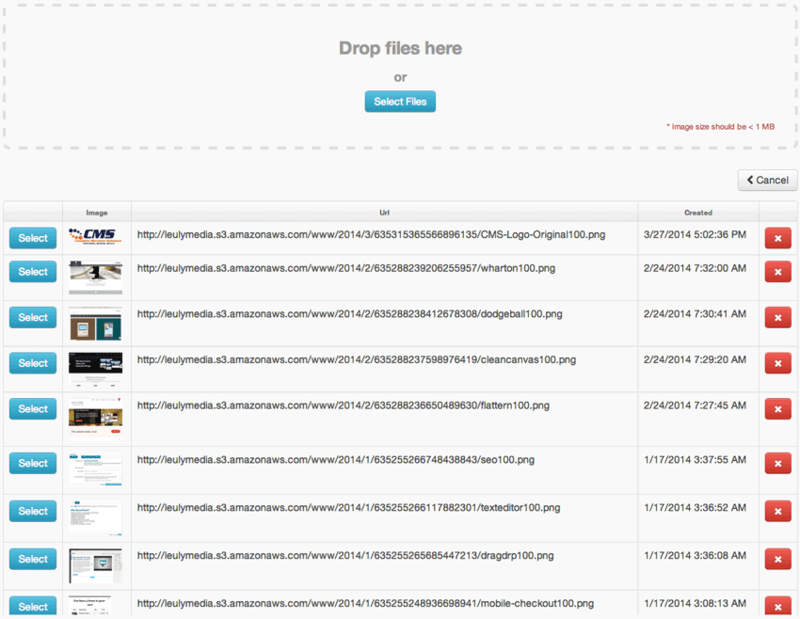 You can hit the SELECT FILES button to retrieve an image from somewhere in your computer. You can select an already downloaded image in your library. Once the image is loaded, you just click on the image to drop it into your text box. You can adjust the image within your text box. If you are unsure of any of the toolbox buttons in the blog feature, you can just hover your mouse over that button for a reference for what it can do. If you are satisfied with your post, you can select the button to save it and make it live. If you would like to go back to a previous blog post and edit content, you can click on either the Edit button or the Delete button.